Buying a lock which costs more than the bike: ridiculous or a wise choice? During the rush hour in town centres one can often see young, fashionable and stylish professionals riding old and rusty bicycles. They would probably be much happier using better bicycles, but in this way they hope to avoid one of the more annoying scourges to afflict urban cyclists: bicycle theft. It is a risk which tends to become even more of a certainty if one is forced to leave the bicycle parked for long periods of time, maybe even at night, in high-risk locations, such as in public streets and at railway or bus stations. For this reason, if there is no other alternative, one is forced, against one’s will, to use a low-cost bike. The hope is that the thieves would be attracted to something more valuable. The truth is that if they were still to steal the bicycle the financial loss would not too great.The problem is that having spent not very much for the bike it is natural to consider not spending too much for the padlock. This would appear to be logical reasoning, but in this way one end up buying a shoddy product, with the risk that it is in no way able to properly protect the bike, and the likelihood of theft increases dramatically. The limited value of the bike, alone, is not a sufficient deterrent. If it can be stolen in just a few seconds, even a bike that could be sold for a mere 10 or 20 Euros becomes good business for thieves. The theft of a bike, even with limited economic value, is a serious problem for the person relying on it to go to work or school and, as well as the inconvenience it causes, it forces one into buying another bicycle and another anti-theft device, in what can unfortunately become an endless sequence, and with a total cost which over time becomes significant. A calculation of how much repeated thefts could cost in terms of time and money can easily justify buying a good quality mechanical anti-theft device. A good mechanical anti-theft device, though not absolutely infallible, is generally able to deter thieves who are not very well equipped, who are typically the ones who prefer to steal low-cost bicycles. For this reason, it is a good investment. Even if it is more expensive than the bicycle which it must protect, it is still less expensive than having to repeatedly buy bikes and padlocks, taking into account the difficulties that this entails. 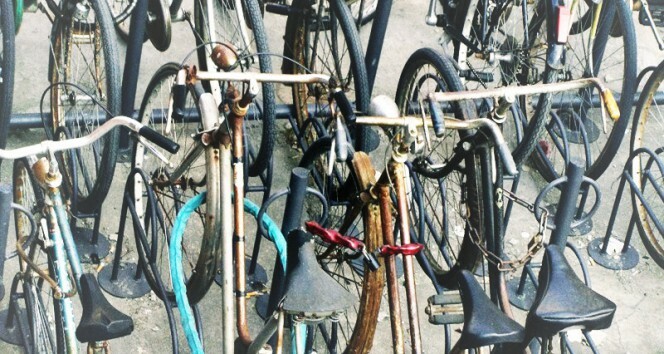 Have you bought a padlock that was worth more than the bike? Let us have your comments! This entry was posted in Motorbikes and Bicycles and tagged tips on 10 October 2013 by Mara Rossi.